The Packers-Falcons game was the perfect capper for Sunday Week 2… a statement about where we're at in football and in fantasy after two weeks of the season. As I was watching the Falcons destroy the Packers, having picked the Packers to go on the road and win this game for my Blazing Five (my first B5 loss of the day) because Aaron Rodgers... I wrote myself a note that the answer to the question that I had about this game during the week must've been answered. I started believing in the Packers because I thought their Week 1 defensive performance was a sign of an improved unit… improved enough to let Aaron Rodgers be Aaron Rodgers and thus win most games. My question heading into Week 2: was that perception a reality? Were the Packers really going to step up with a healthy defense? Because the answer was no, at this moment, Green Bay is not an unstoppable force. They are the same team they were last year—they'll go as far as Aaron Rodgers' miracles will take them. Good enough to beat anybody, but when playing better teams it's not a given. It isn't even an assumption we should make, like I tried to make about them going to Atlanta in Week 2. You want to then stand up and applaud the Falcons for such a big win, but then I look back to last week and remember Jordan Howard dropped a game-winning TD at the end of the game, or the Falcons would be 1-1 today like the Packers. The Packers are not as good as I want them to be just because they have Aaron Rodgers. It's hard to bet against Aaron Rodgers, but he can't play defense. I want to rush out and proclaim the Falcons are better than I thought… but again, they should've lost to the Bears last week. The big takeaway to all of this is: There are no boogiemen yet developed in football 2017. It's not the New England Patriots and everyone else… but watch out if Aaron Rodgers gets hot. No one can be sure who the top teams are right now. It's crazy to pound your fist on the desk with confidence about any of the top teams. The Packers got manhandled on the road Week 2. Dallas got manhandled on the road Week 2. The Patriots looked terrible opening day. The Falcons, the Broncos, and the Chiefs are all 2-0, and we're going to want to push them to the top of the NFL rankings in our mind because they beat our idols Green Bay, Dallas, and New England... but the Falcons should've lost to the Bears. The Broncos held on for dear life versus the awful Chargers Week 1. The Chiefs had to come from behind to take out the Eagles this week. Football is a beautiful thing in 2017 because it's not the Patriots and everyone else. There are probably 10+ teams you could see right now winning the Super Bowl. It's a beautiful novel with 15 more chapters/weeks to unfurl. Twists and turns around every corner. Like every season, teams are going to adjust week to week and start rising to the top. I saw a statistic the other day about Bill Belichick's record month by month in the NFL. His worst winning percentage is in September, as he's getting a feel for his team and his opponents. His best winning percentage is in December, after he's made adjustments and figured things out. What the standings are going to look like in a couple weeks compared to today would probably shock us if we could see the future. Because we can't see the future, we tend to base everything off of what just happened. We do that in fantasy football as well. We had a nice winning percentage over the FFM universe in Week 1 and we were all quite satisfied with ourselves. It wasn't so great in Week 2… a near 50-50 week. Most of our key players did absolutely nothing—some historically bad performances for some of them… bailed out by Tom Brady in some instances. But mostly Week 2 was pretty depressing looking at Tyreek Hill, Brandin Cooks, LeSean McCoy, Jordy Nelson, Jimmy Graham, Demarco Murray… and even Tarik Cohen didn't provide a spark. In leagues we lost this week, we forgot the good from the prior week, and now we are going to sit with depression Monday through Saturday. The depression after a key fantasy loss in Week 2 then leads us to want to blow up everything or assume everything is a problem, and we want to come up with solutions and we want them right now. Double that sentiment if you are 0-2 right now. I mean, the season’s over... right? What's the point of even playing fantasy football? Why did you even draft any of these players? You knew blank was going to be blank… and you'll never do blank again. This week (and next) is where I typically make the greatest advancements in fantasy leagues... and it's usually by not panicking. The second you trade Brandin Cooks because “He's not doing anything!”... it's the moment his near misses become hits and you sold a stock at its low right before it took off. You probably acquired a stock at its peak in exchange, and then that stock starts to sag and you only accomplished pouring some gasoline on your fire. Be careful what sweeping judgments happen after two whole weeks. Week 2 into Week 3 (this week) is a time to assess and reaffirm the things you believe in. Brandin Cooks is not going to have less than 40 catches on the season. Kareem Hunt is not going to score 40 TDs. It's only two weeks of data. Some of your fantasy players have had terrible matchups for two weeks, like Dak Prescott or the Patriots DST… and now the rough patches are mostly over and blue skies are seen ahead. There's game flow, in-game injuries, et cetera, that have hit all our teams. This time last year and for a few weeks following, Aaron Rodgers was a mediocre disaster. He was on like a 10+ game run of underwhelming performances and I was advocating trading him because there seemed to be no end in sight… then Eddie Lacy got hurt and changed the season for Rodgers and the Packers (and Ty Montgomery). The Minnesota Vikings were the best team in football, and it wasn't even close. Sam Bradford debuted in Week 2, after missing a Week 1, and looked like Joe Montana. Sounds familiar on Bradford? The 49ers won their 2016 opening game by shutting out their opponent, and nearly begin the season 2-0. They would go on to lose almost every game the rest of the season after an opening day win and would have one of the worst defenses in NFL history—a historically bad defense that started the season by pitching a shutout opening day. Christine Michael was on his way to being the Seattle workhorse for the future this time last year. It's only two weeks, and just having lost stinks… even if just falling to 1-1. Being 0-2 feels ten times worse. However, if you win next week and get to 1–2 you're only, likely, one game behind the playoffs with 10 weeks still to go. Don't be hysterical this week. There is a lot of time to make adjustments. The Falcons are not going undefeated. The Packers are not dead, as I'm sure every Wisconsin newspaper is going to tell you because they dared lose to the Falcons again. If they played at Green Bay next week, we all would probably take the Packers to win. Let's be smart this week. Let's take advantage of the people who are panicking. Let's not write off the things we believe in. Let's do make our changes on things that are obviously bad now and have been bad for a long time despite our greatest hopes—like Jimmy Graham. Now is the time to smartly buy low and sell high, and not panic into the reverse of selling low and buying the hot thing of the moment to find sweet relief from the pain of losing a fantasy football this week. Keep your hands steady. It's not time to panic until you're 0-5. Then you can start losing sleep and thinking about never playing this game again. Right now, it's too early. The Indianapolis Colts almost won a game this week! There's hope for all of us. It's hard to have any big-time fantasy takeaways from this particular game about individual players because this game was over before it started. The Packers lost Jordy Nelson and Mike Daniels immediately after coming in missing both their OTs. When Jordy left the mood in the entire room changed for Green Bay. Atlanta hopped right on them and never let up. Aaron Rodgers had nice Fantasy numbers as did a number of his weapons, but he really wasn't that good when it mattered. This was a lot of garbage time work. Conversely, the Falcons got off to a hot start and then just throttled back on the accelerator to some degree. The Falcons might've scored 50+ on Green Bay if they wanted to get into a shootout. Instead, they just tried to sit on the Pack and run the clock, smartly. Which led to lower Falcons' fantasy numbers than what it looked like it would be in the beginning. The biggest fantasy takeaway for me, for adjusting my projections going forward: The Packers' secondary still looks like that secondary from last year that's going to give up huge numbers to opponents. They're just not good enough. This Packers team is going to be the same one as the second half of last year… Aaron Rodgers trying to outscore the tally his defense allows. That's going to be FF-great for Rodgers, his WRs, and Ty Montgomery. It also means the Seattle offense is total trash after being halted by the Packers. But, if you watched SF-SEA Sunday, you already figured that part of the puzzle out. I don't have to change a thing with the Falcons projections. They're acting like the Falcons from last year. Running back-led and Julio Jones-led and Matt Ryan having better fantasy performances than not. My only other high-level game note is—it's getting closer and closer to no longer wondering if Dan Quinn is a good head coach but marking it in pen. He doesn't seem to be missing Kyle Shanahan too much. The Seattle Seahawks don't seem to be thriving since Quinn left. 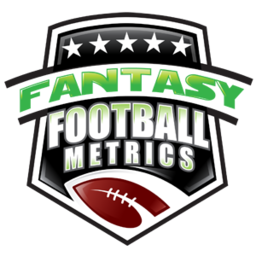 -- So we're still calling Julio Jones (5-108-0/9) a beastly stud… a top 10 fantasy asset? The guys is like allergic to the end zone. His numbers since 2016 (minus one or two white-hot outputs) have been ones you could find from most #1 wide receiver's on any team – Allen Hurns racked better numbers in his debut as his team's #1 WR this week. I know Julio Jones is a really good NFL wide receiver… and sometimes great. I'm just gonna keep pointing out that the price of his stock and the real ROI have a gap. He's giving WR2 performances over and over but we all think he's one of the top 3 things in fantasy. Do what you want with that info. I'll probably keep yammering about it and no one will care, and then he'll have a 200+ yard game and everyone will go 'see' and then it’ll be followed by 10 more Julio yawns like this... very good fantasy results not great or elite. -- Ty Montgomery (10-35-1, 6-75-1/7) is not an elite running back by any stretch of the imagination. But if you paint the Packers offense with a broad formula of “bad defense + Aaron Rodgers = numbers”… then Montgomery is an RB1 in PPR the rest of the year. I point this out because those of you searching the globe for running backs, once Montgomery has a non-TD game... you might want to pounce. If you can work out a fair trade for him being valued as an RB2, you may want to roll the dice that you're buying an RB1 for an RB2 price. Not a long term RB1 here, but hope as one for 2017. -- On the Packers narrative—I'd be a buyer of Jordy Nelson or Randall Cobb (6-60-0/9) on the cheap if their injuries in this game aren't debilitating. Jordy could be a great buy low this week. Cobb a sneaky WR3 valuation pickup who might be a WR2+ in PPR this season. Cobb seems more back to his normal relationship with Rogers then not. Sticking with the Packers WR narrative — Geronimo Allison (3-24-0/5) and Trevor Davis (1-9-0/1) are hot garbage. If Jordy or Cobb is out next week, I'm sure one of these backup guys will score a TD somewhere along the way, but there's no huge upside talent among them. The Packers backup wide receivers are an embarrassment to NFL scouting. Jeff Janis is still on this team… and with 67% of the starting wide receiver's hurt in-game Week 2, Janis still can't get onto the field as a WR. -- What doesn't seem to work with the Packers narrative... Martellus Bennett (5-47-0/11). He looked terrible this entire game. So many drops and missed opportunities from him. Because of the sad state of fantasy tight ends and the fact that he works with Aaron Rodgers, he'll probably have some moments, but I don't see a breakout upside in what should be a golden opportunity for him. -- When it mattered, the Falcons defense handled the Packers offense. The Falcons DST is a legit 'good' unit… with deep sleeper chances at ‘great.’ I'd get more excited but their schedule is very choppy ahead. One week a great matchup, the next week the Patriots or whatever. If you're struggling with your DSTs, the Falcons will be a sweet option against the Bills next week. -- Taylor Gabriel (1-7-0, 2-14-0/3) got a hand-off early but was barely involved in this offensive game plan in general. The new offensive coordinator doesn't seem to be enraptured with him yet. He seems more interested in Justin Hardy (1-19-0/2), which isn't crazy because Justin Hardy is very good. But for fantasy... Taylor Gabriel and Justin Hardy go into the dustbin for now. They are way down on the pecking order. -- Rookie IDP Takk McKinley (0 tackles) didn't have numbers, but he did get to Rodgers for two accredited 'QB hits'. It would help McKinley, and the Falcons defense in general, if Vic Beasley (2 tackles, 1 sack) is not seriously hurt. -- I am a big LB Jake Ryan (4 tackles) fan. He has a talent. But his first two weeks of IDP in 2017 have been a dud. He only played 29% of the D-snaps in this game. -- One of the things that may boost the Packers defense another notch is if rookie DBs Josh Jones (4 tackles, 1 TFL) and Kevin King (3 tackles, 1 PD) get pushed as full starters. Obviously, they are inexperienced in NFL terms, and there would be growing pains, but the Packers may have no choice but to take their lumps now and push the two rookies to be ready in time for the playoffs.